What resources do we have available for college? How do we determine our budget for college? How do we establish a maximum student loan amount? Understanding the FAFSA and how your Expected Family Contribution is calculated. What are ways we can save ON the cost of college? How to have the Money Talk with kids. You will leave with a budget and a plan for how to pay for college. 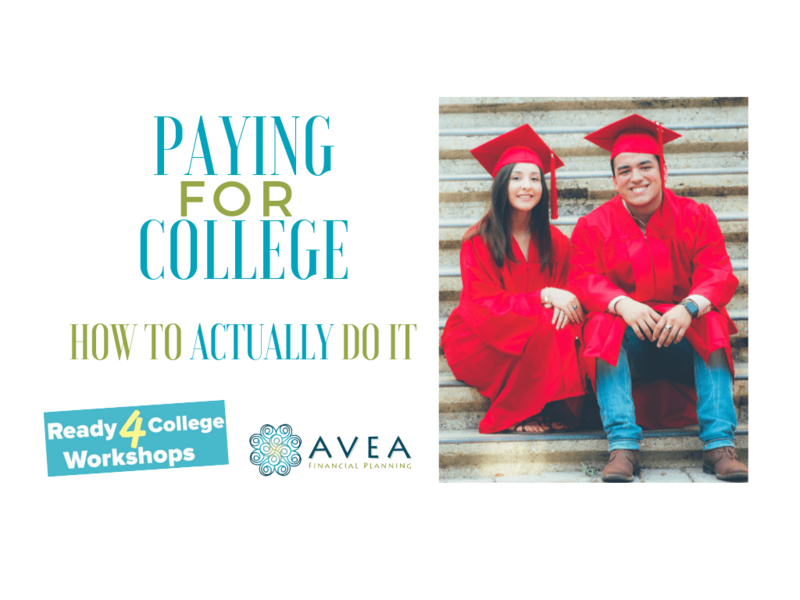 A Ready4College Workshop presented by Angie Furubotten-LaRosee, CFP®, Avea Financial Planning,LLC. Angie is passionate about empowering families and guiding them to become informed consumers of higher education so that they don’t pay a penny more for college than they absolutely have to. She works with families to help demystify the college funding process and is widely regarded as an expert in college planning, retirement planning and investments to make it all happen.